Global demand for fuel efficiency, environmental quality and energy security have elicited global attention towards liquid biofuels, such as bioethanol and biodiesel. Around the world, governments have introduced various policy measurements, mandatory fuel blending programmes, incentives for flex-fuel vehicles and agricultural subsidies for the farmers. 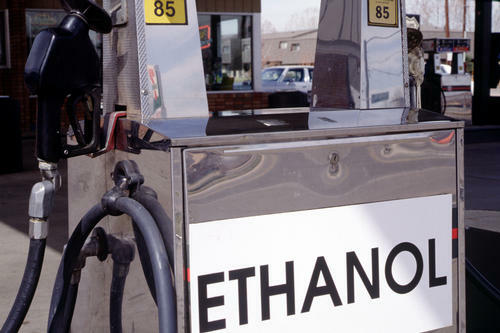 In India, the government launched Ethanol Blended Petrol (EBP) programme in January 2013 for 5% ethanol blended petrol. The policy had significant focus on India’s opportunity to agricultural and industrial sectors with motive of boosting biofuel (bioethanol and biodiesel) usage and reducing the existing dependency on fossil fuel. The Government of India initiated significant investments in improving storage and blending infrastructure. The National Policy on Biofuels has set a target of 20% blending of biofuel by 2017. However, India has managed to achieve only 5% by September 2016 due to certain technical, market and regulatory hurdles. 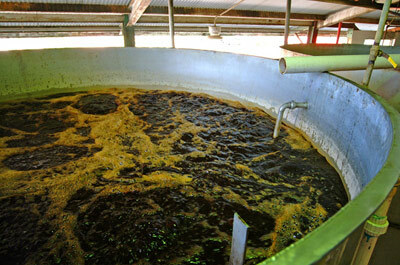 In India, sugarcane molasses is the major resource for bioethanol production and inconsistency of raw material supply holds the major liability for sluggish response to blending targets. Technically speaking, blend wall and transportation-storage are the major challenges towards the biofuel targets. Blending wall is the maximum percent of ethanol that can be blended to fuel without decreasing the fuel efficiency. Various vehicles are adaptable to various blending ratio based on the flexibility of engines. The technology for the engine modification for flex fuel is not new but making the engines available in India along with the supply chain and calibrating the engine for Indian conditions is the halting phase. The commonly used motor vehicles in the country are not effectual with flex fuel. Ethanol being a highly flammable liquid marks obligatory safety and risk assessment measures during all phases of production, storage and transportation. The non-uniform distribution of raw material throughout the country, demands a compulsory transportation and storage, especially inter-state movement, encountering diverse climatic and topographic conditions. Major ethanol consumers in India are potable liquor sector (45%), alcohol based chemical industry (40%), the rest for blending and other purposes. The yearly profit elevation in major sectors is a dare to an economical ethanol supply for Ethanol Blending Programme. Drastic fluctuation in pricing of sugar cane farming and sugar milling resulted to huge debt to farmers by mill owners. Gradually the farmers shifted from sugarcane cultivation other crops. Regulatory and policy approaches on excise duty on storage and transportation of ethanol and pricing strategy of ethanol compared to crude oil are to be revised and implemented effectively. Diversifying the feedstocks (especially use of lignocellulosic biomass) and advanced technology for domestic ethanol production in blending sectors are to be fetched out from research laboratories to commercial scale. Above all the knowledge of economic and environmental benefits of biofuel like reduction in pollutants and import bills and more R&D into drop-in biofuels, need to be amplified for the common man.